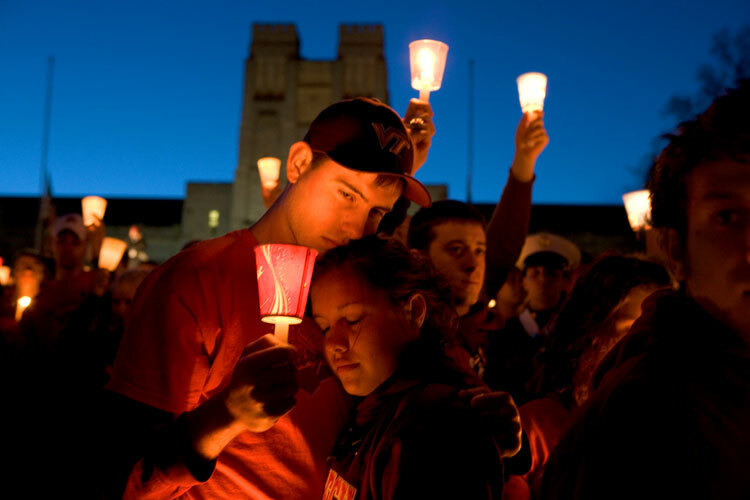 Students gathered to remember their friends who died in the shooting outrage. 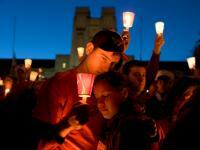 The vigil was held on the Drill Field opposite Norris Hall site of most of the killing. They were mostly silent as in this image. Then some sang then later they all did football chants together..... which I've never seen at a candlelight remembrance before but it seemed right and appropriate.